MILAN, Sep 12, 2013/ — Roberto Cavalli has exclusively created the outfits for the fitness team at the new ‘Hard Candy Fitness Club’ in Berlin, owned by Madonna. ‘Hard Candy Fitness’ is an innovative global fitness brand which was founded in 2010 by Madonna in collaboration with ‘New Evolution Ventures’, worldwide leader in the development of fitness clubs. ‘Hard Candy Fitness’ is already present in Moscow, Saint Petersburg, Santiago de Chile, Sydney, Mexico City and Rome. 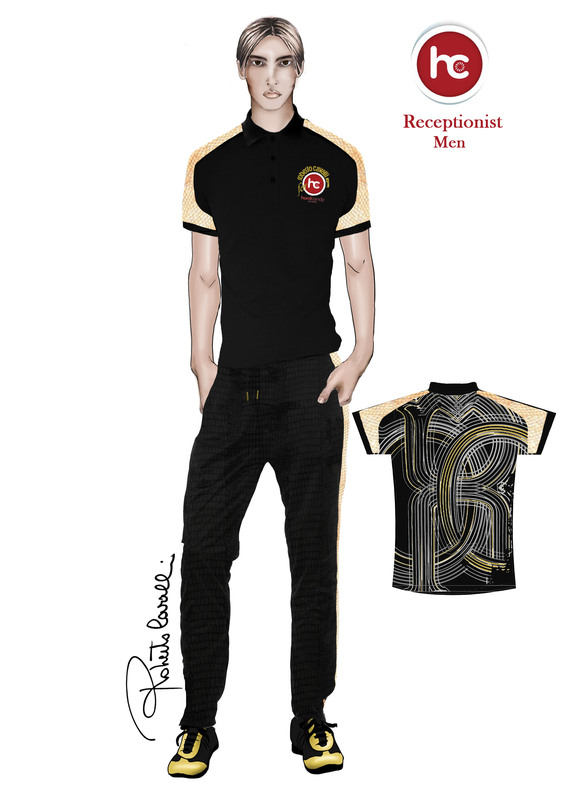 Personalized with both the Roberto Cavalli GYM’ and ‘Hard Candy’ logos, the clothing is created with technical textiles, adapted to the functionality of the garments, or Lycra, triacetate and stretch cotton, in the colors black and gold. The collection is completed by the canvas baseball hats.